Trial read: Data loggers - the smart alternative to thermo-hygrographs. 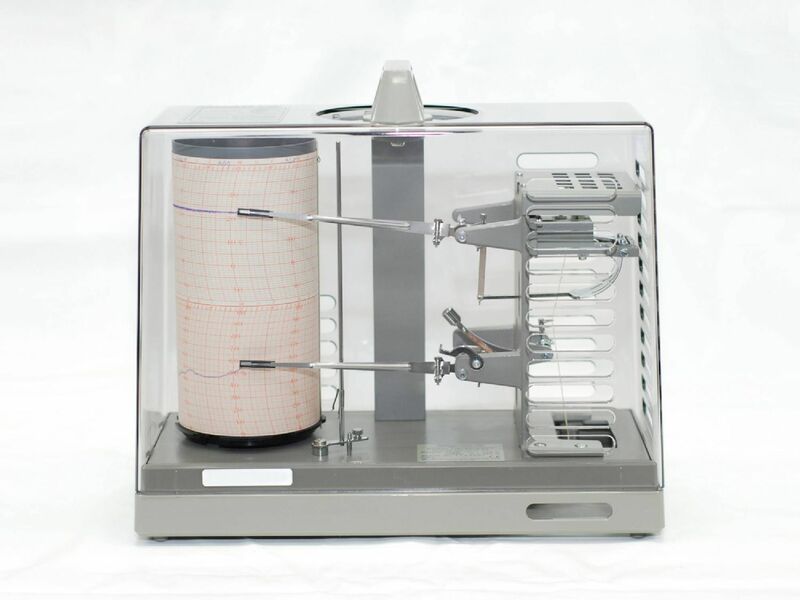 For many decades, thermo-hygrographs were the tool of choice for documenting the indoor climate in museums. Technically simple and easy to understand, they can be operated and maintained by museum staff after a relatively short briefing. On regular inspection rounds, a quick glance at the drum is sufficient to establish whether the climatic conditions are OK. However, this advantage can also be detrimental. This is because thermo-hygrographs are comparatively large and therefore conspicuous, which is why they may well be regarded as exhibits in some museums. They are also high-maintenance. The paper for the recording drum needs to be changed regularly – daily, weekly or at the very latest monthly, depending on the setting. The batteries for the clock mechanism and the pens also need to be replaced regularly. For long-term documentation, the individual sheets of thermo-hygrographs must be appropriately archived. Due to these regular maintenance requirements and also their size, thermo-hygrographs cannot be used everywhere. There is no space for them in display cases, for example. Because of their sensitivity to vibrations and changes in position, they are also completely unsuitable for transport monitoring. Last but not least, the question of costs comes up time and again. The costs per measuring point are quite high due to the annual maintenance requirements, even though the high purchase price can be spread over many years due to the longevity of thermo-hygrographs. 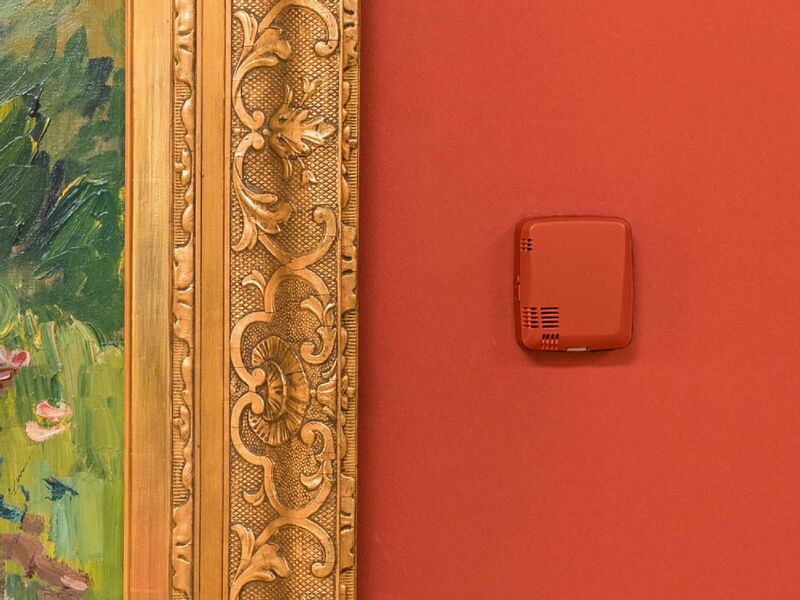 Due to the obvious disadvantages of thermo-hygrographs, data loggers have been increasingly used for monitoring the climate in museums since the 1990s. And after all these years, you might think that there would be a large selection of perfect data loggers specifically for museums. Unfortunately, this is not the case. Firstly, this is because in general these instruments were developed with completely different applications in mind and they are often "misused" in museums. Secondly, there is no typical museum application. 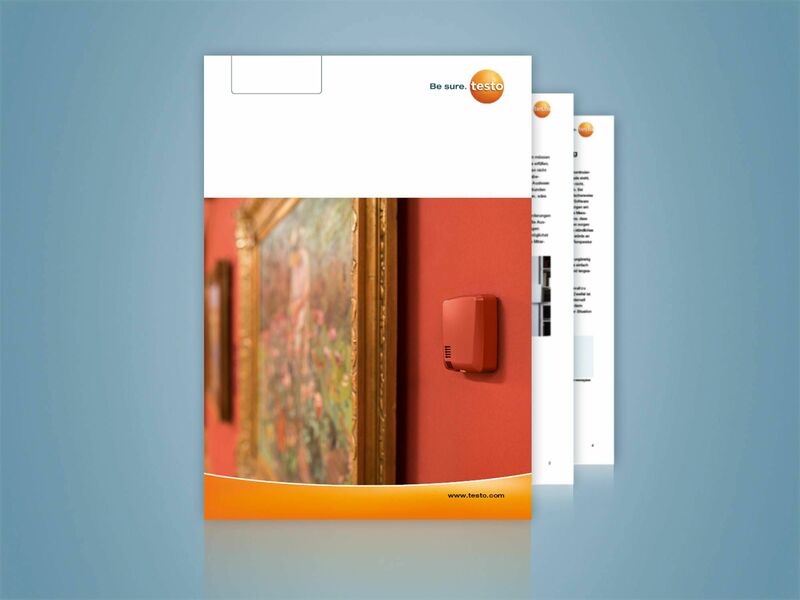 The requirements for a data logger vary considerably within a museum. 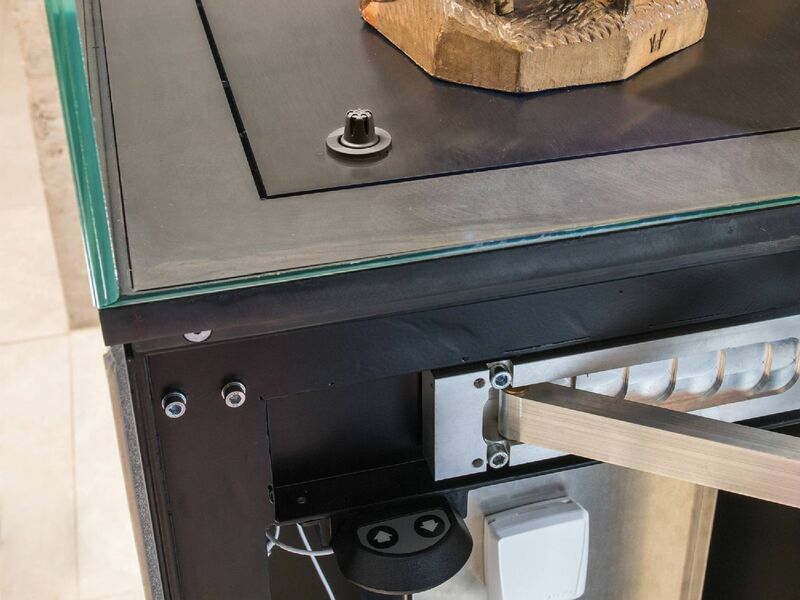 Here, the instruments need to be unobtrusive, to be able to be fixed securely and enable permanent monitoring of the indoor climate via a display. These latter completely assume the function of thermo-hygrographs. In order to fulfil the most stringent design requirements for the exhibition area, ideally the instruments need to be "invisible". Here, limitations are often placed on the "misused” instrument: Many data loggers are completely unsuitable for a museum environment due to their technical design. When used in display cases, unobtrusiveness is the key asset. Moreover, display cases cannot even be opened for maintenance work on a data logger, such as changing batteries or reading out the memory. Here, however, small external probes can be used, which protrude into the display case while the data logger is "hidden" in the base of the display case. Alternatively, the data logger can also be read out via radio - assuming sufficient battery life. 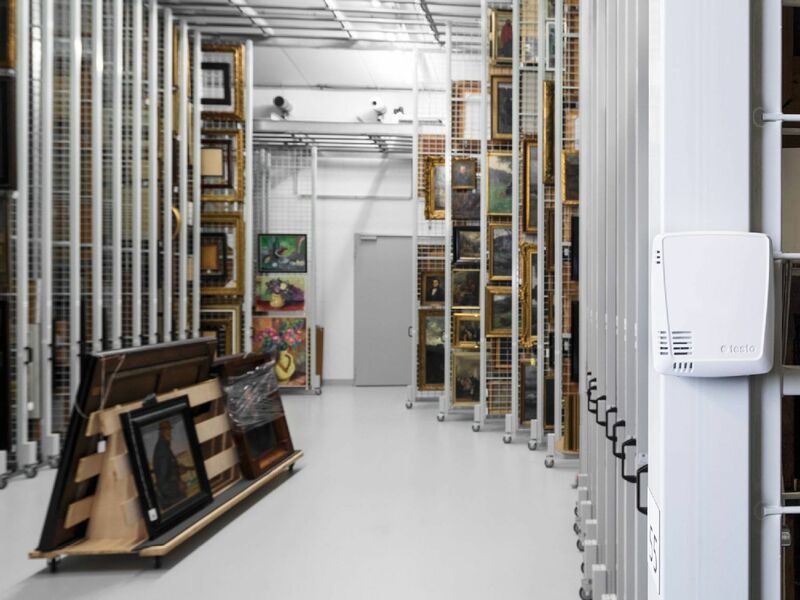 When it comes to monitoring the storage of exhibits, data loggers do not usually need to fulfil any design requirements, but there are often remote storage facilities that do not always have someone on site regularly to monitor the ambient conditions. The regular readout of instrument memories can also involve some effort. The option of remote access would be ideal in order to prevent unnecessary journeys to the storage facility. What operating systems and software do I need? What is the battery life of data loggers? Is the wireless range sufficient for my museum?